For more than three decades, Marcus Hiles, Dallas Chairman and CEO of Western Rim Properties, has been creating luxury rental communities across Texas. Unmatched in contemporary design and resort-style conveniences, the homes, townhomes and apartments he has built are highly regarded for their cutting-edge, energy-efficient amenities. Staying well informed about innovations in smart house technologies, the successful real estate developer has had firsthand experience with the next wave of fully programmable appliances that give users previously unavailable levels of customization and control-and all by cell phone. The growing consumer market for state-of-the-art smart machines has proven to be cost effective and offer convenience like never before. Hiles shares his astute views about the latest additions to the network of the "Internet of Things," and their potential for ushering in an easier lifestyle. Upgrades begin right at the front door. App-controlled deadbolts let users decide how they want to open up their homes and to whom: entry codes can be preset for different family members or even issued on a temporary basis for visiting workers like pet sitters and cleaning people. Many smart locks send an alert that a guest has arrived, while an HD camera with microphone provides a live feed, allowing hosts to communicate with waiting company, even when not actually on the property to receive them. Wi-Fi doorbells are a true evolution in both safety and power: residents can even utilize the high-definition stream for night vision views in darker environments, and to protect their privacy by engaging a quiet mode when wishing to remain undisturbed. The latter function is particularly useful for keeping a resting newborn happy or preserving a Saturday afternoon nap. Marcus Hiles says that even our beds are getting smarter: sleepers for newborns play music, shine soothing lights, and lightly rock babies with automated settings; while adult mattresses track behavior patterns and analyze the data to improve sleep quality by adjusting the position. Our living space has been revolutionized by connected lighting systems, remote automation connections and learning thermostats. Bulbs react to movement to shut off and save energy, or set to slowly shift from soft to bright light, while anything from a TV to a coffeemaker can be activated from an app with the use of smart outlets. Humidity monitors sense condensation and automatically take steps to improve the quality of air, while new thermostats allow for extremely specific temperature controls, utilizing warmer and chillier settings for different rooms. In the kitchen, web-linked refrigerators with touchscreens make it simple for families to coordinate schedules, and interior cameras snap email-ready photos to streamline grocery shopping. Much as cellphones have made cameras ubiquitous, their presence lets us watch over our homes and loved ones from anywhere in the world using home security systems. As the market continues to evolve, these products will work better together, interface across brands with more ease and ultimately, give users more piece of mind. 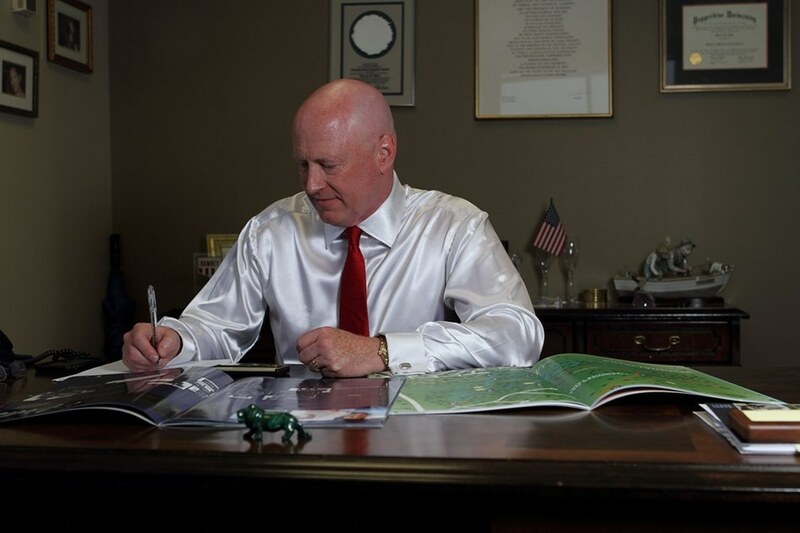 Marcus Hiles is a prominent real estate investor and philanthropist who has helped to transform the upmarket rental landscape throughout Houston, Dallas-Fort Worth, Austin and San Antonio. His passion for the environment has resulted in an ongoing campaign to increase the state's shade tree canopy by planting a total of 30,000 trees during the last 10 years and donating over 59 acres of parkland to preserve wildlife habitats and accessible green spaces. The Pepperdine and Rice Universities alum's strong commitment to education has moved Hiles to give more than $2.5 million to public and private K-12 initiatives, after school programs, university career services and job placement programs.